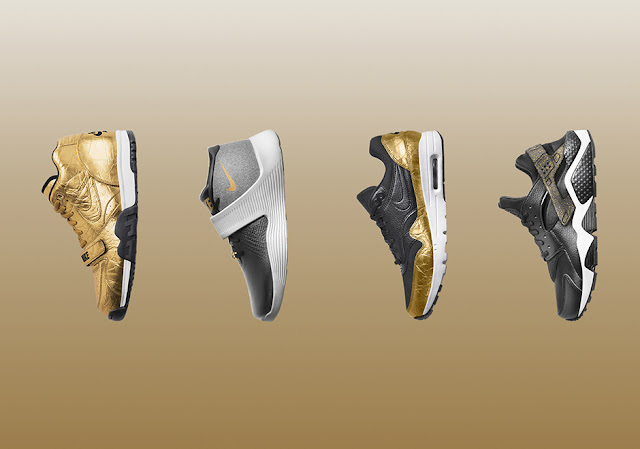 Nike is celebrating Super Bowl 50 by releasing two commemorative sneakers. As we are now just weeks away from the much-anticipated sporting event, we’ve finally been given a look at the special Air Trainer 1 and Ultra XT that have been crafted for the occasion. The Air Trainer 1 boasts a can’t-miss gold-colored upper that bears a wrinkled foil aesthetic. Tonal laces accompany the mid-tops, while black branding plays complement accordingly. The Ultra XT then features a predominantly black and white look, with gold branding tagging the pair on the side, tongue, insole and forefoot strap. 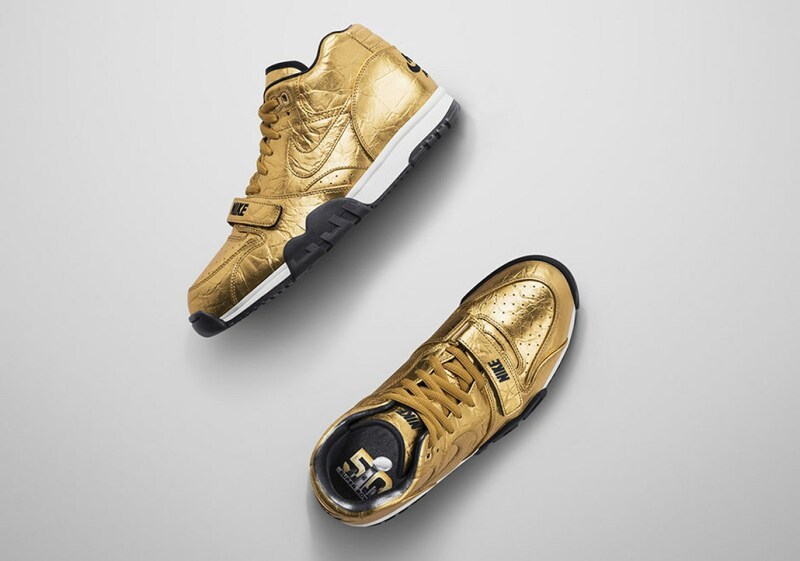 The Nike’s Super Bowl 50 sneakers were released on January 19 at select retailers.